Niamh Emerson and Sam Talbot headline a strong British team for the inaugural European Youth Championships to be held in Tbilisi, Georgia, on July 14-17. Emerson recorded a huge personal best of 5815 points earlier this month, eclipsing the British youth heptathlon record previously held by Katarina Johnson-Thompson. Like Johnson-Thompson, 17-year-old Emerson is also developing into a world-class high jumper after winning the Loughborough International with a clearance of 1.89m, while also winning bronze at last weekend’s British Championships in Birmingham. 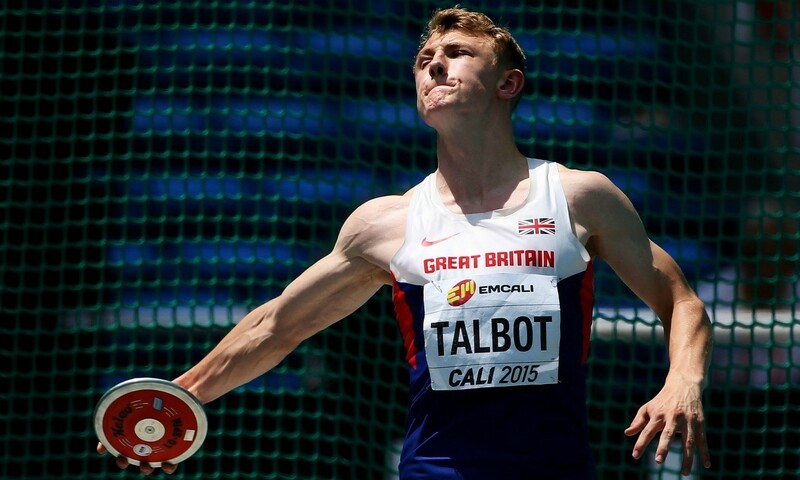 Also starring in the multi-events is Talbot, who in May set a British youth decathlon record score of 7035 points in Bedford and will have his sights set on continuing his meteoric rise in the 10-discipline event. The team will also boast the top two ranked 1500m athletes in the age group in Sabrina Sinha and Erin Wallace. Sinha will make her third championship appearance in a British vest after competing at the IAAF World Youth Championships and European Cross Country Championships last year, while Wallace will make her international debut. Jake Norris is another athlete in impressive form, with last year’s World Youths hammer finalist adding nearly four metres to his lifetime best in 2016 to take the teenager to second in the European youth rankings. Norris’ throw of 78.54m, a British youth record, also came at the Loughborough International. With only three-hundredths of a second separating the top four in Europe in the age group over 800m, George Mills and team-mate Markhim Lonsdale will both be looking to dethrone the two Italian athletes who currently occupy the top of the rankings. Holly Mills shared the long jump podium with two Rio Olympians at the weekend after finishing in the bronze medal position at the British Championships behind Shara Proctor and Jazmin Sawyers. Mills’ jump of 6.23m was just six centimetres off her personal best and the eighth occasion she has exceeded the qualifying standard of six metres. Also in the field is Jude Bright-Davies, who in jumping a career best of 15.39m saw him win the England Athletics under-20 title and propel the 17-year-old to second in the European youth rankings. There will also be medal prospects in the women’s high jump, with second and third ranked Abby Ward and Ada’ora Chigbo both keen to make their mark in the Georgian capital. Team leader Scott Grace said: “The team is really looking forward to mixing it with the best in Europe next month.